Ric Flair is in a Medically Induced Coma, Prayers for the Nature Boy! A representative for the WWE has confirmed to to TMZ that the Nature Boy, Ric Flair is in a medically induced coma. Official details have not yet been made available, but it seems as though he’s going to undergo an emergency procedure of any minute now. ESPN is reporting that the issues are heart related. Either way, if you have positive vibes to spare today, send them Ric Flair’s way! TMZ: “Ric Flair is in a medically induced coma and is preparing for surgery … a rep for the WWE tells TMZ Sports. 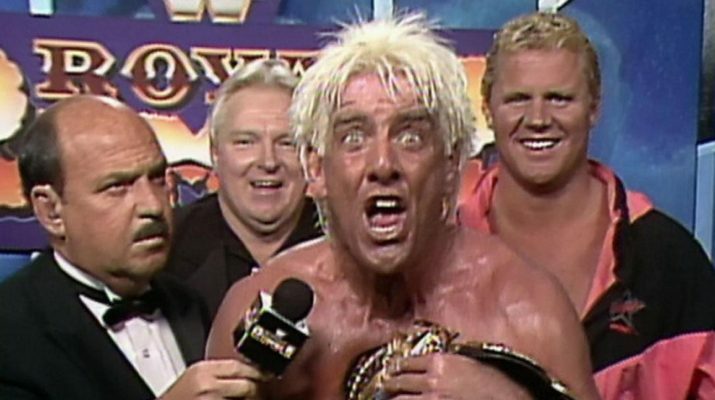 We’re told Flair is set to undergo a procedure momentarily, though we’re not being told what the procedure is … though Pro Wrestling Sheet is reporting that it’s a heart related issue. Flair’s rep had previously asked for thoughts and prayers for the Nature Boy.